Grand Cayman, benefits greatly from relaxed banking standards. Both serve as major hubs for offshore banking. It being a tax haven, a major banking hub, and an English-speaking area, it is jam-packed with people. Parking is a nightmare and scooters are everywhere dashing in and out of traffic. Like I said, there’s a big rock in the middle, so there have been major efforts over the years to “reclaim” some land from the sea. In other words, like Back Bay in Boston, or some of the shoreline in Seattle, vast amounts of soil are dumped into the sea to expand the footprint of the land. The map on the right shows the Reclamation Area. 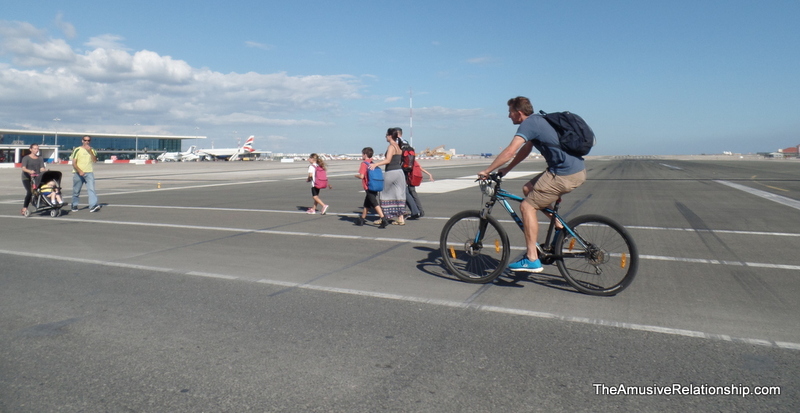 tarmac.On the right, you can see other travelers with us crossing the runway as we left. Within the city center, there is an interesting, albeit crowded, main street with some interesting shops, though since they operate on the British pounds sterling, everything is super expensive. Most of the interesting things to see are on the rick itself. 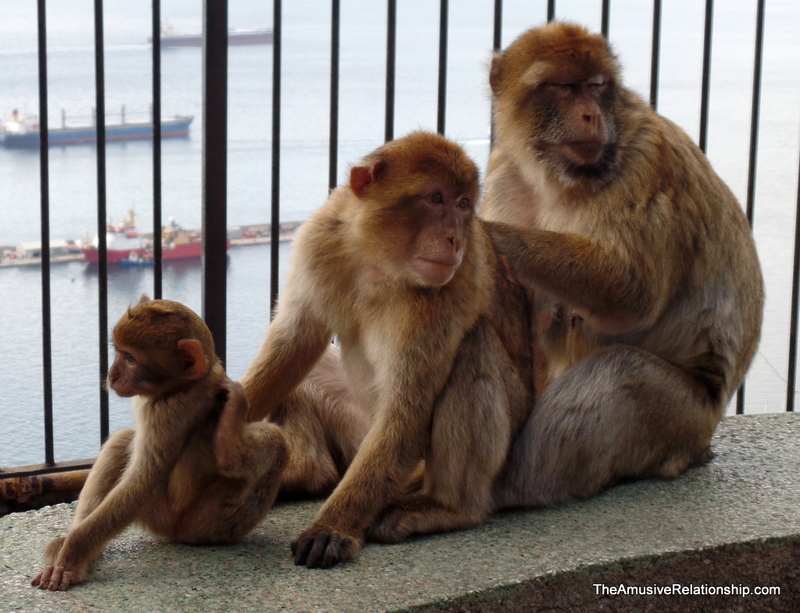 If you missed the previous post, there are semi-tame macaque monkeys all over the rock. They are very familiar with human contact, so they may be in the shops, stealing out of your purse, or riding on the roof of your car. There are also sites to see within the mountain. St. Micheal’s Cave, despite the gaudy lighting installed and the fact that it’s been turned into a concert venue, is truly wondrous. The stalactites, stalagmites, and incredible formations from thousands of years of accumulation are beautiful. (Images below). Though small and relatively unkempt, there is a Moorish castle on the hillside. (Pictures below) Most interesting, at least for those in the know, was an old “Turk” type toilet. Strangely, the rock is riddled with tunnels, like Swiss cheese. 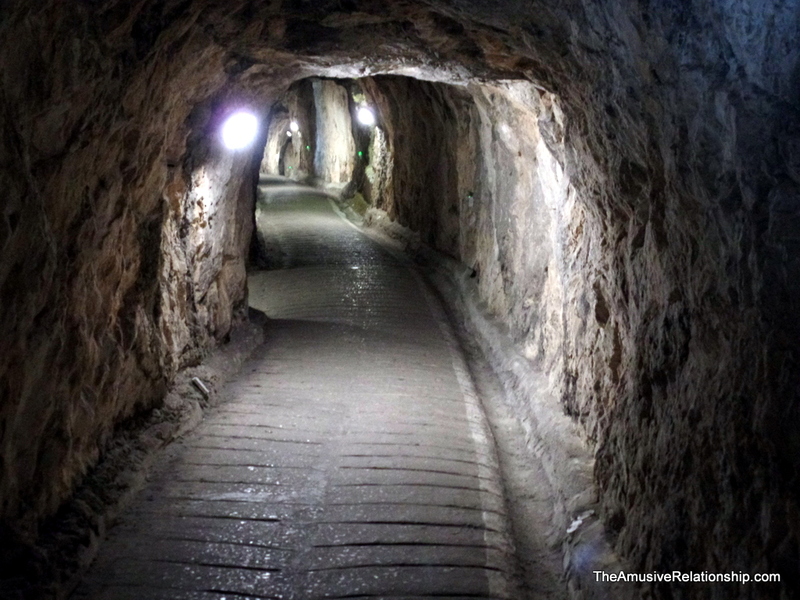 “Within a land area of only 2.6 square miles (6.7 km2), Gibraltar has around 34 miles (55 km) of tunnels, nearly twice the length of its entire road network” (Wikipedia). More images are below, including some of the mannequins en scene. 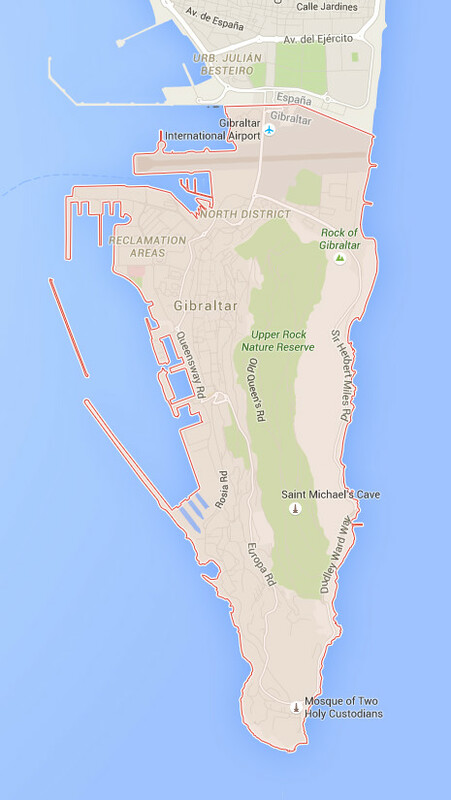 Overall, Gibraltar is a nice place to visit, but I wouldn’t want to live there. Or, for that matter, stay over. Go there, explore what the rock has to offer, and get back to Spain where life is more relaxed and much less expensive.